With many seats still left to be filled even after admissions against the second cut-off closed, Delhi University on Sunday announced its third cut-off showing a nominal average dip of about 1 per cent. Admissions under third cut-off will start on Monday when the varsity reopens after the weekend. At Shri Ram College of Commerce, the third cut-off for both BCom (Hons) and BA (Hons) Economics is 97.25 per cent, witnessing a marginal drop of 0.25 and 0.50 percentage respectively to that of their second cut-offs. In Lady Sri Ram college, BCom (Hons) is at 97.25 per cent while both BA (Hons) Economics and BA (Hons) English are at 97 per cent, dropping by merely 0.25 for B.Com (Hons) and 0.50 for the other two. Ramjas college is offering BA (H) Economics at 96.75 per cent, BA (H) English 95.75 per cent and BCom (Hons) at 96.50 per cent seeing a drop of 0.75 for the former two while there was a 1.25 per cent for the latter two compared to the second cut-off. At Kirori Mal College, admissions are closed for BCom as well as for BA (Hons) Political Science as all seats got filled after the admission for second cut-off while BCom (Hons) third cut-off is at 96.50 per cent, a drop of 0.50. At Ram Lal Anand College, the third cut-off for BA (Hons) English is 91.50 per cent, 1.50 per cent below the previous cut-off while for BA it is 85 per cent or 2 per cent below the previous mark. In PGDAV college, no drop is observed in BA (P) which has kept its third cut-off at 85 per cent similar to its second one. At Sri Aurobindo College admissions are closed for BCom (Hons) and BA (Hons) English after the closure of admission as per second cutoff. The students have three days to take admission under the first list following which the next cut-off list will be released. This is for the first time that the university has introduced full-fledged online admission procedure for UG admissions unlike previous years when it used to be both online and offline. 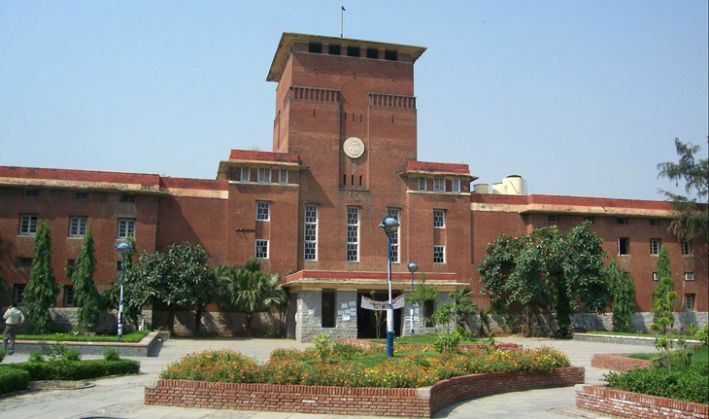 DU had announced in 2016 that it will only release five cut-offs unlike previous years when the varsity issued up to 10 cut-off lists.